Fetal cardiac assessment is a central part of managing many kinds of high-risk pregnancies. 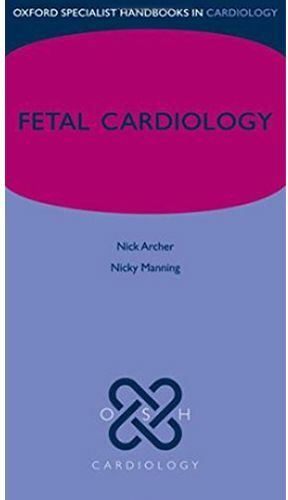 There are relatively few full time fetal cardiologists, and as a result, diagnosis and management of fetal cardiac disease continues to involve considerable input from a variety of professionals, who need easy access to succinct, up-to-date information on fetal cardiac anatomy, rhythm, and function. This handbook provides clinically relevant guidance in an easily accessible and practical format, which is ideal for day-to-day use in a clinic. Written by authors with backgrounds in fetal diagnostic ultrasound and in pediatric cardiology, the handbook is structured according to presentation, allowing each fetal cardiac problem to be easily recognized and an outline approach identified to aid immediate decision making and patient counselling. The book is fully illustrated with high quality figures and images demonstrating echo findings.